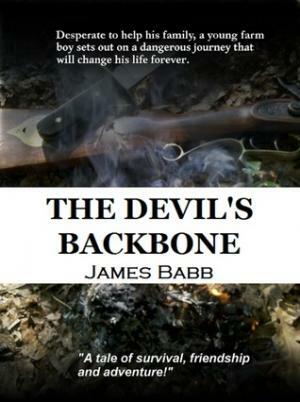 Historical Fiction Narrative of an Arkansas farmer during the late 1800s. The era of Reconstruction was one of the most tumultuous and controversial periods in Arkansas’s history. The Civil war, emancipation, and Reconstruction had been truly revolutionary experiences for Arkansas. But the return to power of the antebellum leaders ensured that Reconstruction was, in the words of Mississippi planter James Alcorn, a “harnessed revolution.” Economic prosperity remained an elusive goal for most of the state’s citizens. - The Encyclopedia of Arkansas History & Culture "Civil War through Reconstruction, 1861 through 1874"
Students will understand the historical significance of the era of Reconstruction. Students will understand the difficulties experienced by Arkansas farmers during this era. CCSS.ELA-Literacy.W.9-10.1c Use words, phrases, and clauses to link the major sections of the text, create cohesion, and clarify the relationships between claim(s) and reasons, between reasons and evidence, and between claim(s) and counterclaims. CCSS.ELA-Literacy.L.9-10.1 Demonstrate command of the conventions of standard English grammar and usage when writing or speaking. CCSS.ELA-Literacy.L.9-10.1b Use various types of phrases (noun, verb, adjectival, adverbial, participial, prepositional, absolute) and clauses (independent, dependent; noun, relative, adverbial) to convey specific meanings and add variety and interest to writing or presentations. CCSS.ELA-Literacy.L.9-10.2 Demonstrate command of the conventions of standard English capitalization, punctuation, and spelling when writing. CCSS.ELA-Literacy.RH.9-10.1 Cite specific textual evidence to support analysis of primary and secondary sources, attending to such features as the date and origin of the information. CCSS.ELA-Literacy.RH.9-10.2 Determine the central ideas or information of a primary or secondary source; provide an accurate summary of how key events or ideas develop over the course of the text. CCSS.ELA-Literacy.RH.9-10.8 Assess the extent to which the reasoning and evidence in a text support the author’s claims. Students will create a historical narrative from the point of view of an Arkansan. Students will translate historical events of the Reconstruction Era in Arkansas into story, setting, and action. Students will have prior knowledge of the Civil War and life in rural Arkansas before writing their historical fiction narratives. Students should finish the outline and sensory details graphic organizers for homework. The class will make a list of sensory details. Students were given the assignment the night before to finish for homework. This should only take 15 minutes. Students will write a rough draft of their narrative. (45 minutes) They should use their sensory details graphic organizer and their outline to begin working. Have students begin with the introduction. Circulate the room to check for understanding. Students will work on their rough draft. If there are students who did not complete their assignments, set-up a section for those students to work independently. Students should be graded on the process and completion of their historical narrative. Students create a performance from their writing. Students become storytellers and share their essay to groups or the class. Students design and create a picture book from their story. Students perform a reader’s theater with the story. Engage the reader by establishing a context and otherwise developing reader interest? Opening paints a picture of a realistic world, character, lifestyle, or setting through accurate, carefully chosen details. Opening establishes setting, characters, lifestyle, and relationships. Opening mentions setting, characters, lifestyle, and relationships. Opening may include little if any information about setting, character, lifestyle, and relationships. Narrative is divided into scenes; scene endings effectively advance plot or character. Narrative is clearly divided into scenes using space breaks and/or transitional phrases. Narrative is divided mostly into scenes; some scene shifts may be unclear. Scene shifts are confusing or nonexistent. Include sensory details and concrete language to develop plot and character? Action is shown through vivid verbs, careful selection of detail, and effective pacing; sensory details are used for specific purposes. Action is shown through verbs and detail; sensory details are used. Action is told rather than shown; little use of sensory detail. Action may be difficult to follow. Exclude extraneous details and inconsistencies? All actions and conversations are necessary and relevant to the development of the story. Most actions and conversations are necessary and relevant to the development of the story. A few actions and conversations are necessary and relevant to the development of the story, while some may seem unrelated. Few actions and /or conversations: a collection of occurrences rather than a developed, sequenced plot. Believable characters are revealed through speech, thought, action and reaction. Some characters may seem somewhat “flat,” and are revealed through speech and action. Most characters are “flat,” and are revealed through speech and action. Use a range of appropriate strategies, such as description, dialogue, tension or suspense, naming, and specific narrative devices? Strategies such as description, dialogue, tension or suspense, and naming are skillfully woven throughout the plot. A range of appropriate strategies used to develop the plot and characters. Some effective strategies are used in the story. Only one or two strategies are used in the story are used in the story, or the strategies that are used render the piece confusing and difficult to follow. Provide a sense of closure to the writing? Provides a satisfying sense of closure with a clear sense of how the main character has changed and grown. 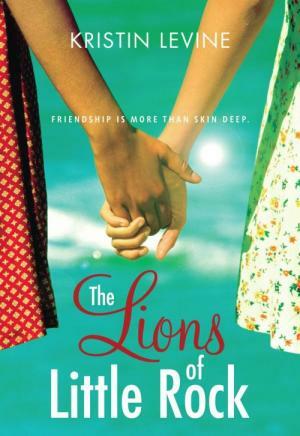 Provides a sense of closure and some sense the character’s development. Provides some sense of closure; some “loose ends” may exist. Creating a historical narrative about the past invites students to develop a story from the facts or events in a unit of study. A narrative may involve research and imagination, as in the day in the life of an Arkansan during the late 1800s. Even a narrative that includes an imaginative component, however, must also contain factual element. This writing process enables students to explore the voice of a storyteller and to retell a story from multiple perspectives. These stories rely on descriptive writing, using energetic, lively adjectives and action verbs in the story. Like a feature story, this essay structure will have a beginning, middle, and end. A strong narrative often includes sensory details. You might find it helpful to fill out an observation chart from the event upon which your narrative will center. List details relating to all five senses: sight, sound, smell, taste, and touch. When writing your introduction, try starting with description or dramatic action. In the body write about events in chronological order. Include transitions that clarify chronological relationships (such as first, later, meanwhile, and finally) to keep the reader oriented. Use sensory details to bring the even to life and add your own feelings and thoughts where appropriate. In your conclusion, create a sense of completion with a final thought on the significance of the event or issue presented in the narrative. The lesson plan utilizes Camp Nine, a novel published in 2011 by the University of Arkansas Press about Japanese relocation in Arkansas during World War II. 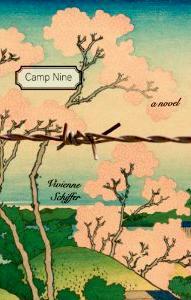 The novel’s author, Vivienne Schiffer, grew up in Rohwer, the location of the Japanese Relocation Center and the basis for the fictional Camp Nine. Students will not only study this era of Arkansas and United States history but they will review primary source materials such as digital oral histories, authoritative online encyclopedia articles, and a recorded lecture by the author. Suggestions for Use: Save this document to appropriate desktop or removable storage device, as links to the Encyclopedia of Arkansas History & Culture entries, the Butler Center Online Collections, and the primary source document information from the Arkansas Studies Institute are “live.” Social studies/Arkansas history student learning expectations are suggested for use with the novel. Additionally, this lesson conforms to the Common Core State Standards (CCSS) for English Language Arts & Literacy in History/Social Studies, Science, and Technical Subjects, which require more informational reading and writing within the content areas. Goal of Lesson: Students will utilize various sources, including electronic technologies, to gain an understanding of Japanese Relocation Camps (especially the ones at Rohwer and Jerome, Arkansas) established during World War II by Executive Order 9066 signed by Franklin D. Roosevelt. Students will also participate in class discussions after reading Camp Nine and/or studying the time period. They will also conduct research and design a product based on information gathered. Objectives: 1. Students will read the book Camp Nine and utilize the essential questions worksheet in preparation for completing the open response writing activity. 2. Students will discuss the novel, listen to oral history interviews, and use Encyclopedia of Arkansas History & Culture entries or primary source documents as selected by the teacher. The teacher will provide direction for classroom discussion. 3. Students will research items correlated to the novel and use the information gained to develop a small group project, using collaborative skills. A.6.9.2 Share information in ways that others can view, use, or assess. C.7.9.1 Read from a variety of materials, including genres, literary award winners, and classic literature. C.8.9.1 Read to make connections to self, previous reading, and the world. The teacher will select from the suggested student learning expectations for his or her students, review the key terms, preview selected text entries from the Encyclopedia of Arkansas History & Culture (EOA), review Butler Center online collections, investigate the Arkansas Studies Institute’s references on the topic, browse links to associated topics, and prepare copies of lesson plan activities as needed. It is suggested that a classroom set of Camp Nine be obtained for use with this lesson. If a class set is not feasible, then the teacher should obtain at least one copy for reading out loud to the students. A set of five copies of the book would provide the basis for small-group activities. Collaboration with the school library media specialist to identify and obtain appropriate resources from the school library media collection, the collections of other libraries, or from appropriate online sources, including the EOA at www.encyclopediaofarkansas.net and the Butler Center online collections at www.butlercenter.org, is suggested. Links to resources on the topic from the Arkansas Studies Institute collections are available. For more information, see http://www.arstudies.org/. Authority/Validity: In judging a work, this refers to the qualifications of the producer, author, or editor—a consistently reliable source? Graphic Organizer: Organizes information on charts, timelines, chains of events, story webs, Venn diagrams, storyboards, etc. Organizational Strategies: Methods of organizing information, such as graphic organizers, note cards, note taking, summarizing, paraphrasing, etc. The teacher will lead class instruction on the timeframe of American history during World War II and provide information about Japanese Relocation camps in Arkansas. If the class is a U.S. history class, the teacher may wish to use the websites linked to the frameworks such as Korematsu v. United States, Navajo Code Talkers, and 442nd Regimental Combat Team. Additionally, there is a link to the Executive Order 9066, which is a digital primary source document from the National Archives. Entries from the Encyclopedia of Arkansas History & Culture (EOA) may be used for supporting information in the teacher-led discussions. Related resources can be found in the Butler Center Online Collections and the Arkansas Studies Institute resources. Students will be provided with a copy of the project description and rubric (Appendix C). This project may be performed individually or in small groups as either an in-class or out-of-class assignment. This decision is left to the discretion of the teacher, but the original intent of the plan designer was for it to be a small-group, in-class assignment. The length of time needed for the project will be decided by the teacher. This decision will also be determined after collaboration with the library media specialist for designing the search strategies and resources needed for the student project completion. Student Worksheets: See Appendices A and C for essential questions, writing prompts, and project description with project-grading rubric. Teacher Handouts: See Appendix B for essential questions answer key and writing-prompt-grading rubric. The Taylor Foundation (Little Rock, Arkansas) makes Butler Center lesson plans possible. Page two (unnumbered) provides two questions titled Application for Leave Clearance. Answers to these questions lead to several events that transpire in the novel. What happened to Mr. Hiroshi Matsui when he answered NO to both questions? Are you willing to serve in the armed forces of the United States on combat duty, wherever ordered? Will you swear unqualified allegiance to the United States of America and faithfully defend the United States from any or all attack by foreign or domestic forces, and forswear any form of allegiance or obedience to the Japanese Emperor or any other foreign government, power, or organization? Students can be directed by the teacher to explain all of the ramifications for the entire Matsui family after the father answered NO to both questions. Xenophobia is defined as the unreasonable fear or hatred of foreigners. In the novel, terms dealing with levels of Japanese immigration are referenced. What are the differences among Issei, Niesi, Sansei, and Kibei? Students may have to research the terms or use the answer key. This novel takes place in the Arkansas during World War II. In the novel, there are references to various kinds of “unreasonable fear.” The mother in the story was the daughter of Italian immigrants. And as the widow of a wealthy farmer, she was not allowed to “run the farm” because she was a woman. The farm foreman, Mr. Ryfle, becomes the central figure in the organization of the Ku Klux Klan, which was opposed to the Japanese Americans in the relocation camp and to the African Americans in the community. Students can be directed to explore “unreasonable fear” in one or many manifestations. Cecilia Morton is the main character in the novel through whose eyes we see everything that transpires at Camp Nine. Chess, as she is known by family and friends, lives with her widowed mother near her grandparents’ plantation. Chess’s mother, Caroline, becomes the art teacher for the school at Camp Nine. As Henry Matsui prepares to go to basic training with the 442nd Unit, what does Mrs. Matsui ask that Caroline draw on the Senninbari for him? What does Senninbari mean? Art and music both play a part in the novel. David Matsui follows a career in music after learning from Cottonmouth Monroe. Caroline learns that there is an ancient Japanese art form which finds beauty in everything, including the Arkansas cypress. What kind of music does David learn from Cottonmouth Monroe and what is the name of the ancient Japanese art form? Mr. Matsui was sent to Tule Lake, a prison camp in California. There are multiple spelling and grammar mistakes. There are no or few complete sentences. There is no central idea with organized elaboration or unity. There is no selected information with a variety of vocabulary. There are two or fewer spelling and grammar mistakes. Most sentences are complete, and there are two or fewer run-on sentences. There is a central idea but not much organized elaboration or unity. There is some selected information with some variety of vocabulary. There are no spelling and grammar mistakes. All sentences are complete with no run-on sentences. Some sentences are complex. There is a central idea with organized elaboration and unity. There is selected information with a variety of vocabulary. After reading the novel Camp Nine use the Advanced Search Screen on the Encyclopedia of Arkansas History & Culture (EOA) to research Japanese Relocation Camps. Students will use the information from various entries and work in groups as designated by the teacher to design and produce one of the following. Students may also use digital resources from www.butlercenter.org as described in the lesson plan. Prepare a front page of the Camp Nine school paper. See example of Rohwer school newspaper on the “Collection Description” page described in the “Art of Living” online project. Prepare a news release going to a media outlet which describes the visit of the 442nd Regimental Combat Team who came from training at Camp Shelby in Mississippi to visit Camp Nine. As described in Chapter 11 beginning on page 123, the Japanese U.S. Army soldiers from Hawaii did not understand the circumstances faced by the soldiers who left Camp Nine to join the team. Design a travel brochure describing points of interest in Chicot County, Drew County, and Desha County in Arkansas, the counties where the two Japanese Relocation Camps were located. One could also prepare a travel brochure describing the Arkansas Delta. All are EOA entries. Using the EOA entry on the Arkansas Delta, create a map of the Arkansas Delta and the agricultural resources found there. Mr. Hayashida (page 137) helped Caroline Morton with growing a successful crop and introduced her to rice a “novel grain,” which would become lucrative for the farmers in that part of Arkansas.